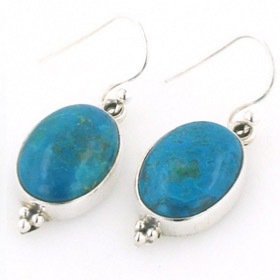 Chrysocolla earrings combine greens, turquoise and kingfisher blues - an amazing array of colour. 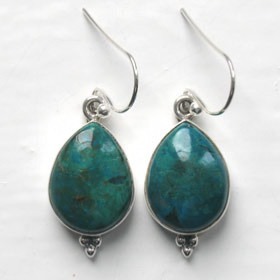 Our sterling silver chrysocolla earrings feature hand selected stones chosen for their beautiful colours and markings. Each chrysocolla stone is unique. 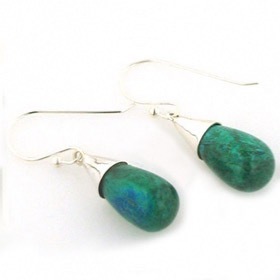 Find chrysocolla drop earrings below. Team up with a chrysocolla pendant or chrysocolla necklace.